Brussels Walking Tour - Why You'll Love This Free Walk? 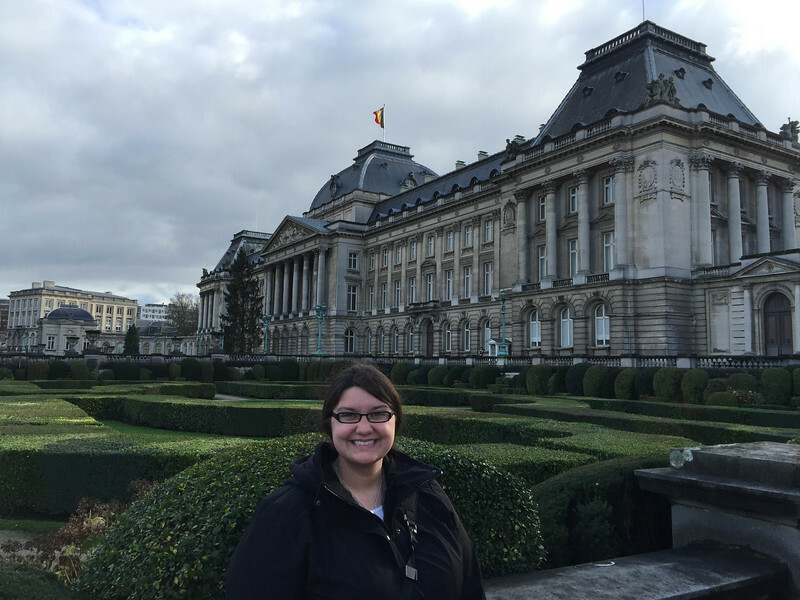 Home Belgium Brussels Walking Tour – Why You’ll Love This Free Walk? 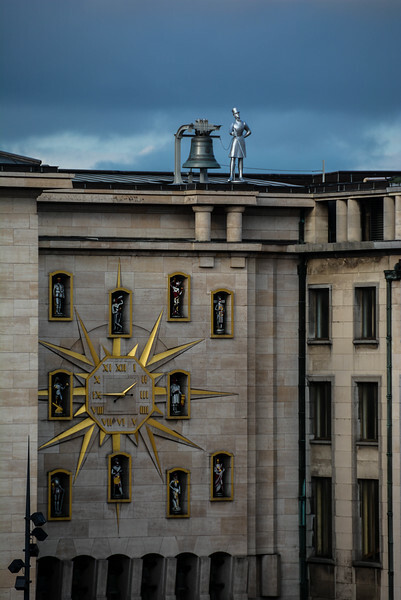 Brussels Walking Tour – Why You’ll Love This Free Walk? 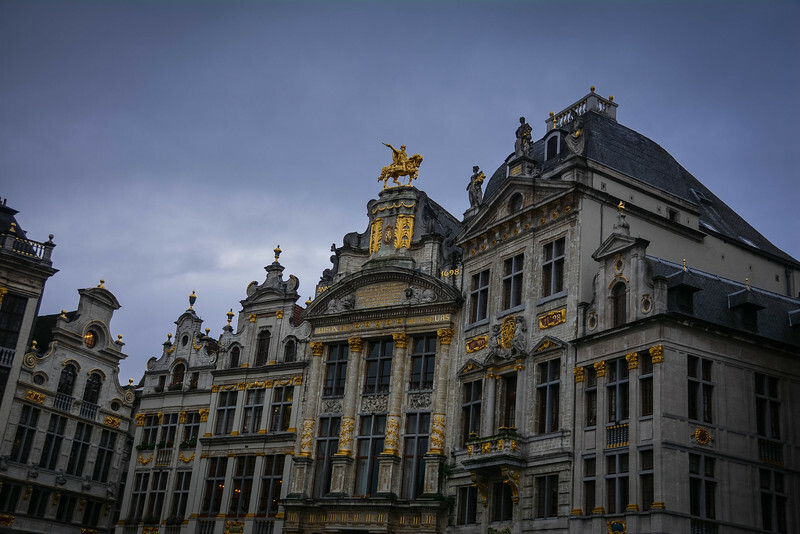 The beautiful and historic city of Brussels, Belgium has come under mass scrutiny in recent months due to the increased levels of security that the Belgian capital has been under. With such high threats of potential terrorist activity, it is certainly unsurprising to see that Brussels has lost many tourists who have opted for alternative destinations around Europe. 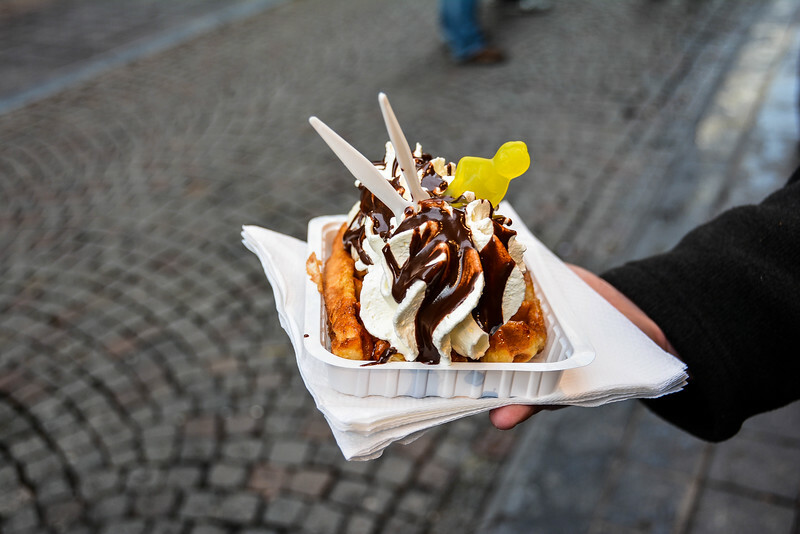 Whether you are visiting Belgium for business or pleasure, there is nothing quite like taking a Brussels walking tour and sampling a fine Belgian waffle! Is It Safe to Visit? You may be wondering if the recent stereotypes are justified and how ‘safe’ Brussels is right now? 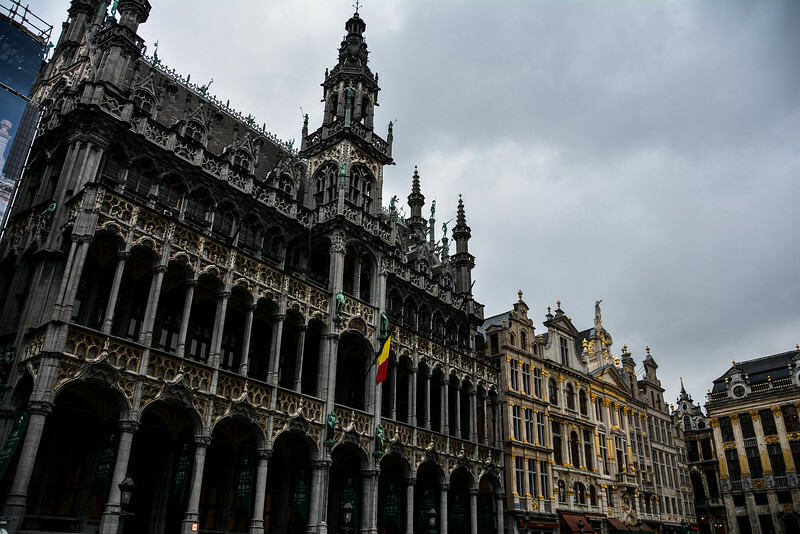 During our recent Eurail adventure around Europe, we had our heart set on visiting Brussels despite suggestions we should stay away. I can 100% confirm that we do not regret our decision to visit Brussels and we want to encourage you be vigilant but don’t allow the threats to stop you from exploring this beautiful city. I will openly admit that security was much tighter than many other cities that we visited. Armored vehicles were prevalent throughout the city and armed police were visible in most populated areas (key attractions, train station, near hotels etc.) However, this increased security added a sense of calm to everyone who was visiting the city and clearly locals were going about their daily lives and not allowing terrorists to win. 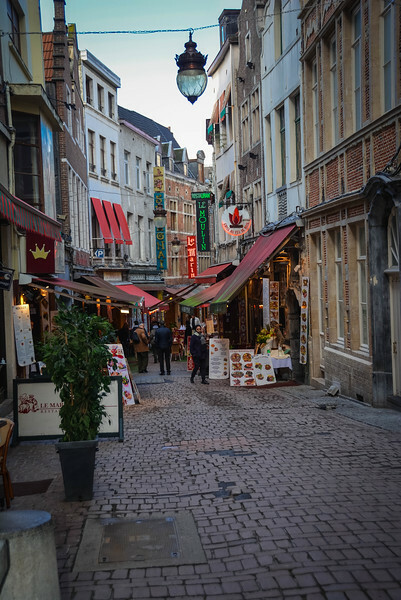 So once you have been convinced that it is safe to visit Brussels, you will then want to determine how to best spend your time in this gorgeous city. Don’t worry, we have a top recommendation for you based on our experiences. Why not spend 2.5-3 hours of your time taking a FREE (Yes that’s right, I will reiterate the word FREE!) Brussels walking tour courtesy of Sandemans. If you are not familiar with Sandemans, they are a company focused on providing high-quality, free tours throughout Europe. Having taken a ‘free’ Bratislava walking tour earlier in our trip around Europe, we were looking forward to experiencing what Sandemans had to offer in Brussels. 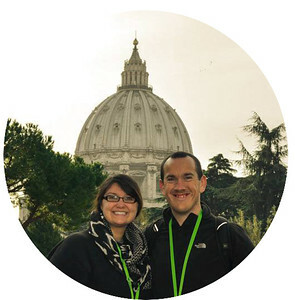 As with all of Europe’s free walking tours, this is purely offered on a tip-based system so depending on how much you enjoy the tour will determine how much value you think it’s worth. 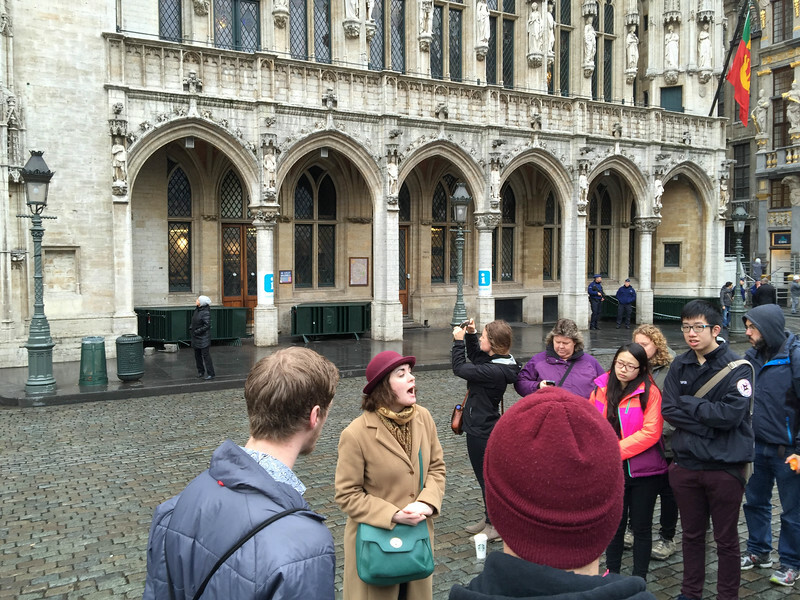 Tours depart daily at 11:00AM and 2:00PM in front of the tower of City Hall in Grand Place/Grote Markt. If you spot guides with red t-shirts and/or red umbrellas advertising Sandemans, you are in the right spot! We were introduced to our tour guide who originally hailed from Ireland but took advantage of the European Union freedom to head across the Irish Sea and Channel to Belgium. Friendly, knowledgeable and willing to answer any questions were all qualities that she possessed and we immediately looked forward to our 2.5-hour tour of Brussels. 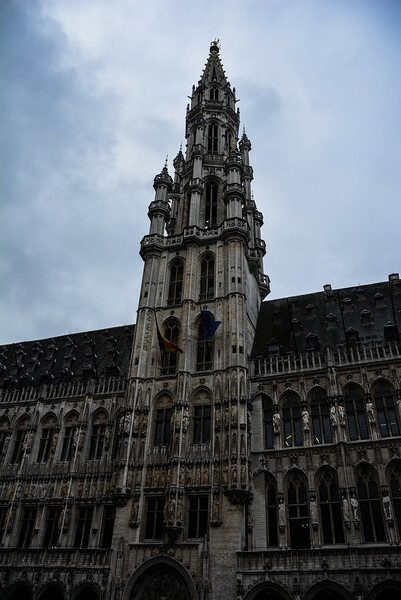 The first 30-45 minutes of our tour took place in and around our meeting point, La Grand Place, which is a UNESCO World Heritage site since 1998. 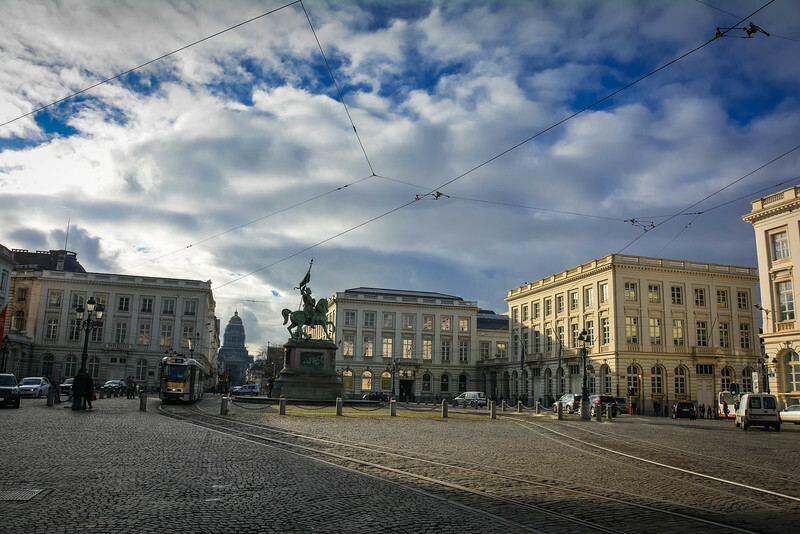 It is the central square in Brussels and provides a true reflection of the luxurious Belgian grandeur that is present in the architecture throughout this part of the city. 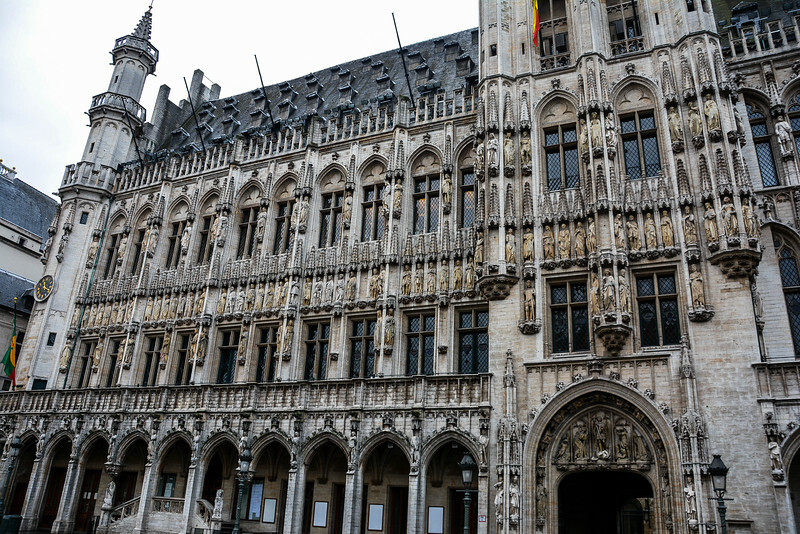 Magnificent guildhalls surround the two primary constructions inside Grand Place, the Town Hall and Breadhouse directly across the square. 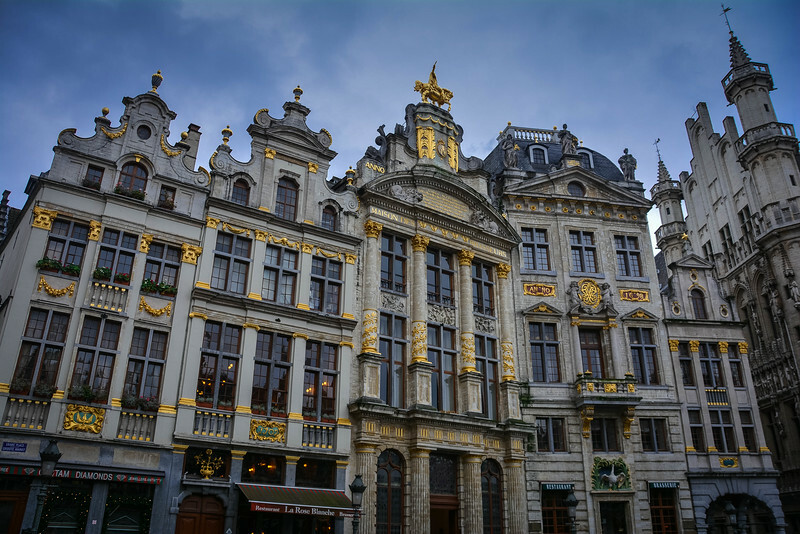 It’s no surprise to hear that Grand Place is frequently renowned as the most beautiful square in Europe and everywhere you look there is something incredibly lavish waiting to be discovered. 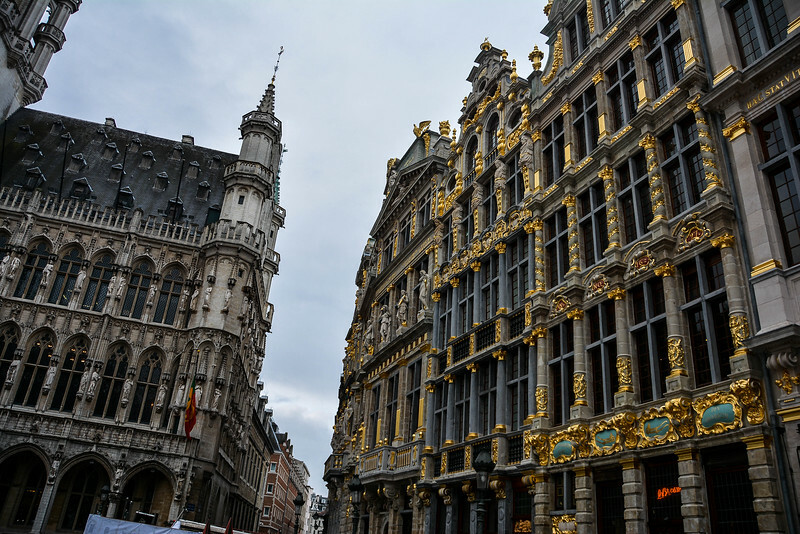 Even the space that Starbucks and other brands occupy are surrounded by the gold decoration, representing the aristocracies that formerly resided in this part of Brussels. Today, apartments are surprisingly very affordable throughout Grand Place, however when you hear the stipulations that windows can only be opened during certain periods of the day in order to maintain the overall look of the square and also no air conditioning…well perhaps you can understand why rent isn’t particular expensive! But I think I could put up with the steamy conditions in order to wake up to views of La Grand Place every day! 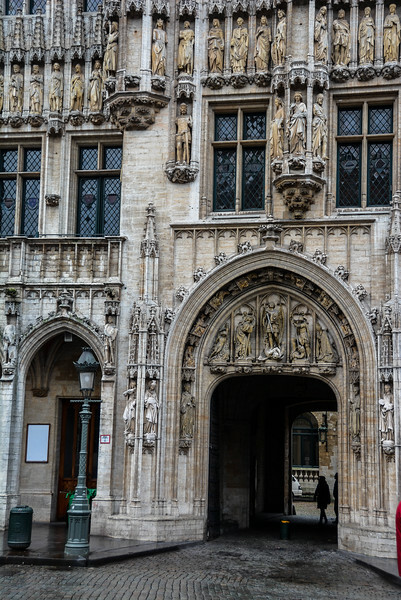 The Town (or City) Hall is a towering and imperious architectural design reflecting a typical Gothic design and dating back to the early 15th century. Our tour guide provided stories of the City Hall before pointing out one of the quirkiest features, the fact that the main door is off center leaving an odd asymmetrical look to the building. Legend has it that the designer of this building jumped to his death from the 310 feet high tower when he noticed this comical error. Of course, without being informed of this, you would probably never notice it but be sure to keep an eye out for this. 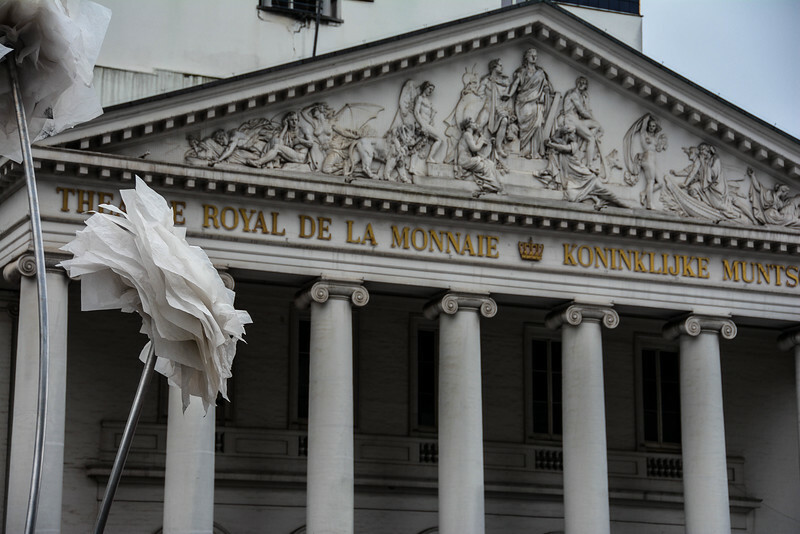 The Breadhouse is also frequently referred to as the Maison du Roi (King’s House) and today houses the Museum of the City of Brussels. 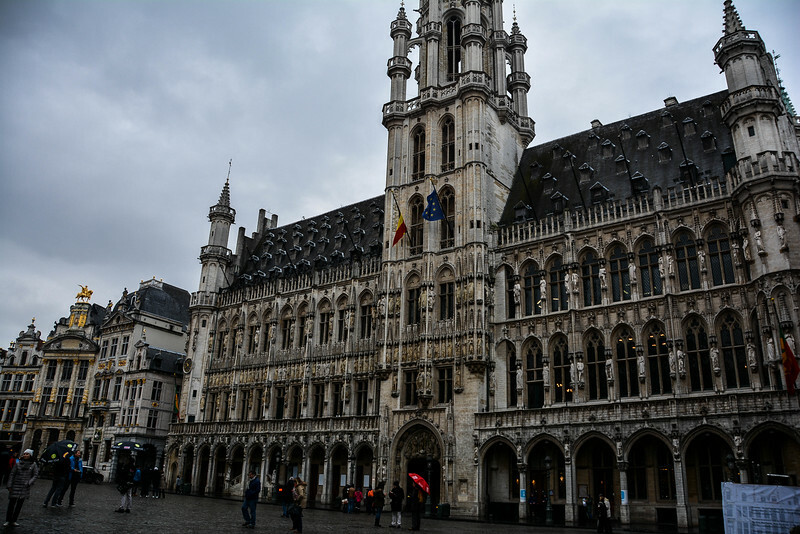 As we gazed around La Grand Place, we couldn’t help but be amazed and awe-inspired at how grand everything is here…so the moment our guide told us we had to move on to our next attraction, well I think we were all just a little disappointed. After leaving Grand Place, we headed into the real heart of Brussels and started exploring some of the gorgeous cobbled stone streets that each had a unique characteristic that made us stop to hear a story from our guide. 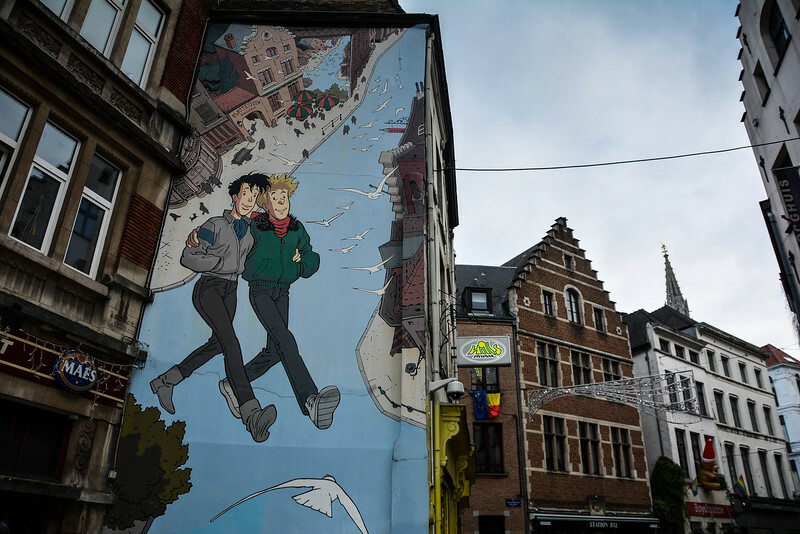 Comic street art is a huge attraction throughout Brussels and on numerous occasions we stumbled across a piece of artistic work on the side of a building, none more impressive than the Tintin mural which is close to one of Brussels’ most iconic landmarks, Manneken Pis. Are you ready to start salivating over some of the fine cuisine on offer here in Brussels? 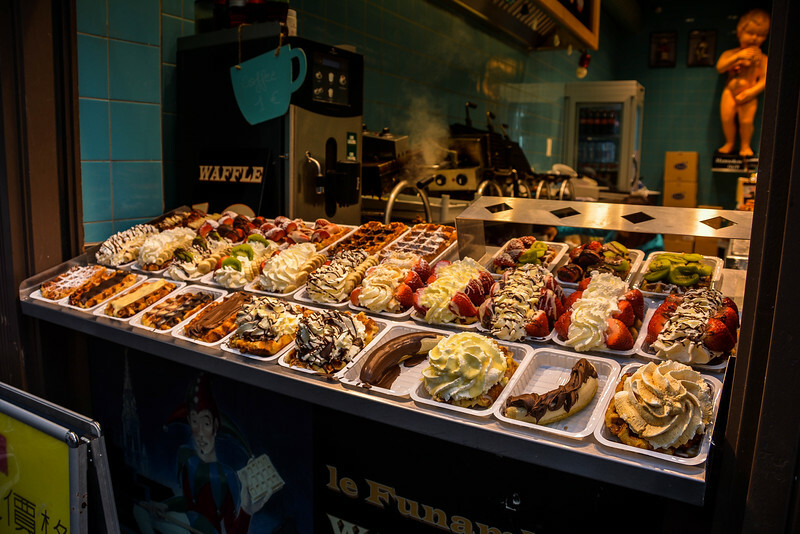 As we walked along these back streets we couldn’t help but notice several waffle stands and other shops selling delicious looking food typical of Belgian cuisine. Don’t worry, even though we didn’t have time on the tour to make a stop, we returned here later to sample, not one but two amazing waffles! Trust us, they are even better than they look. 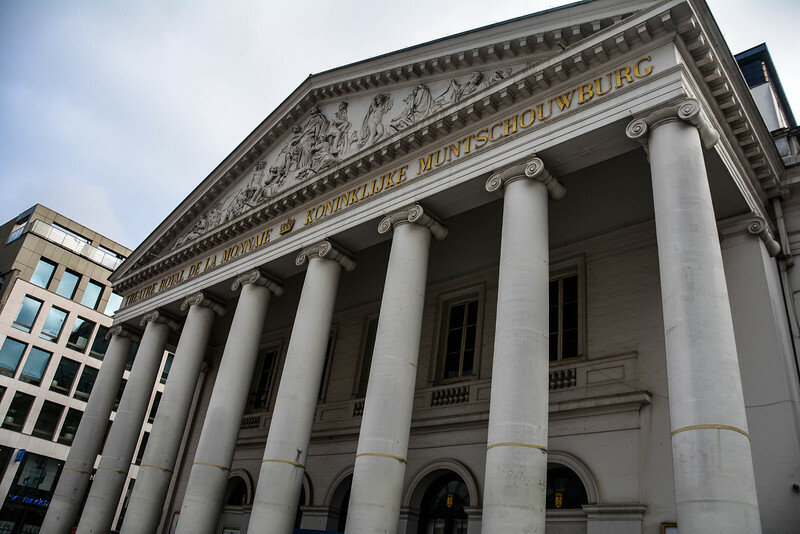 History is waiting to be discovered on every street corner in Brussels and whether you are an architecture lover like I am (buildings such as the National Stock Exchange that will apparently soon be transformed into a museum are beautiful) or want to learn about Belgium’s love of beer, well this Brussels walking tour is perfect for you! 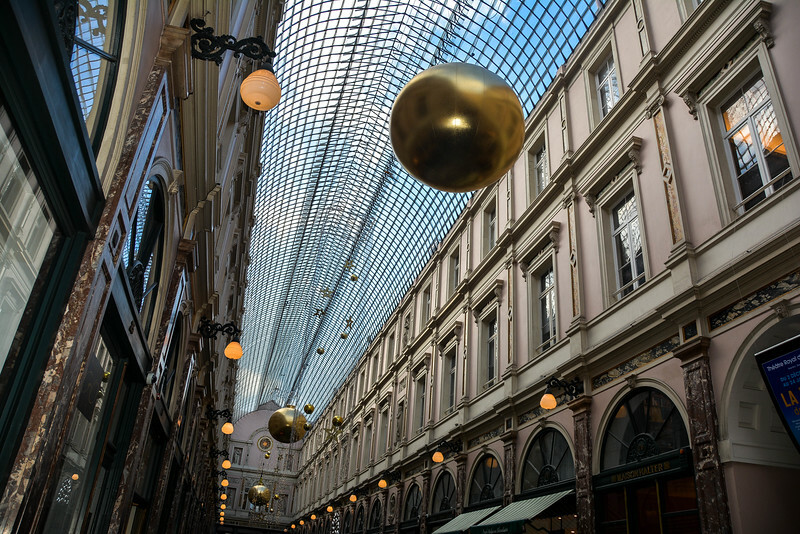 Perhaps the thought of strolling through Galeries Saint Hubert and devouring some of Belgium’s finest chocolate will help convince you that Brussels is a must-see city on your next trip to Europe. Before the tour started, we walked from our hotel to the meeting point in Grand Place. We took this opportunity to visit a couple of souvenir shops and add to our collection of magnets and pins. Every store we visited, there was one particular souvenir that was everywhere. Statues, magnets and even t-shirts depicting a little boy were the most popular items in these tourist traps. 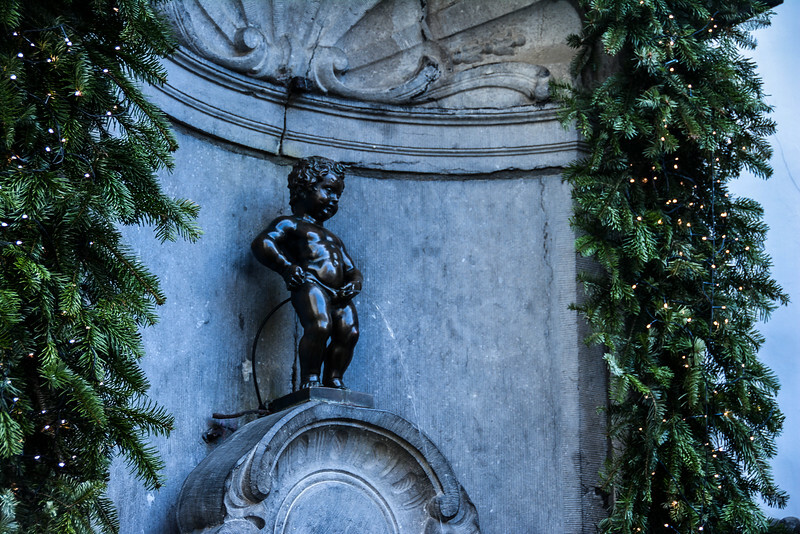 This little boy, known as Manneken Pis, is definitely one of if not ‘the’ most iconic attraction in Brussels. But why you may be wondering? We needed to find out more and thanks to our guide who led us to the actual statue, we learned a little more about the story behind this boy. 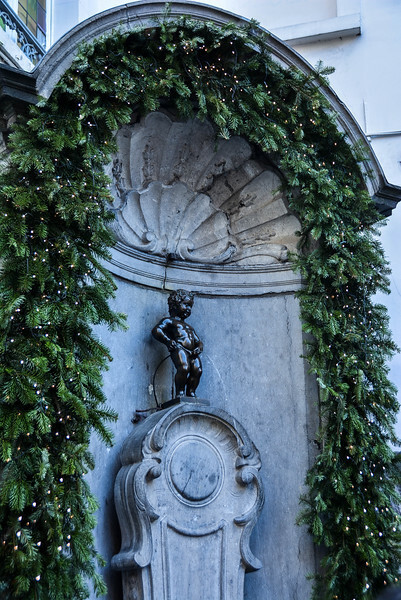 The statue is of a little boy urinating in a fountain and although there are no confirmed stories behind this, legend has it that a boy was placed in a basket in a tree during a battle and subsequently urinated on the troops. Believable? Maybe not! Perhaps a more valid story would be the one about a mother losing her boy in Brussels and when a mass search party was sent out, they found him urinating in the corner. Regardless of the story you believe, and honestly, you could probably put together your own myth about this, it’s an intriguing attraction though we were a little surprised at just how small this statue is (only 61cm tall). If you read our recent post on churches around Dublin, you will know that we enjoy taking in the beautiful architecture that many European places of worship possess. 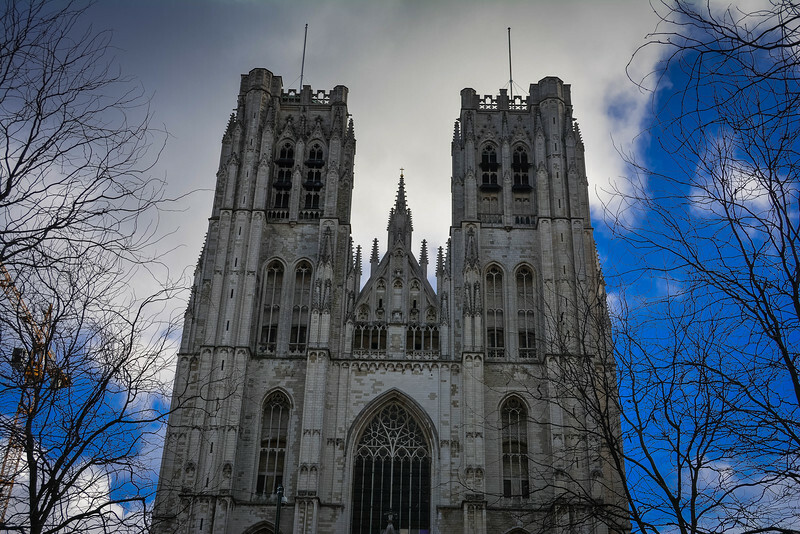 Our guide led us to the towering Cathedral of St. Michael and St. Gudula which dates back to the early 16th century. 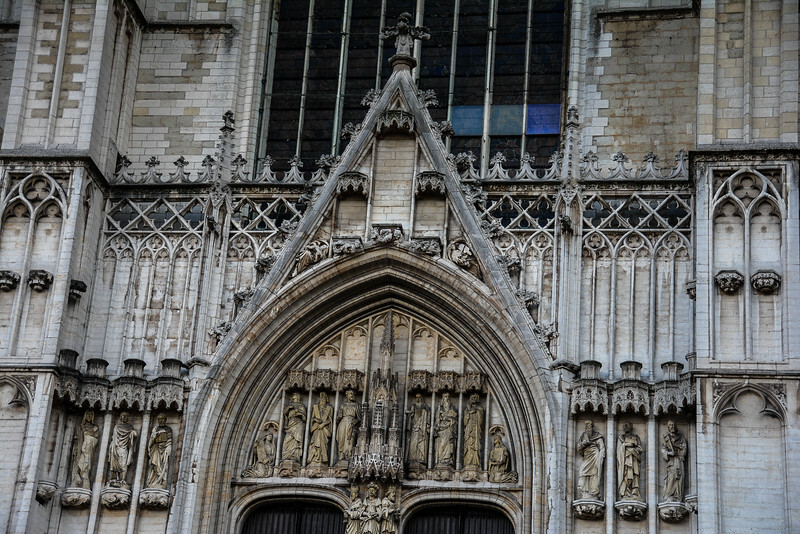 The church is Roman Catholic and has a typical Gothic appearance both on the exterior and interior. 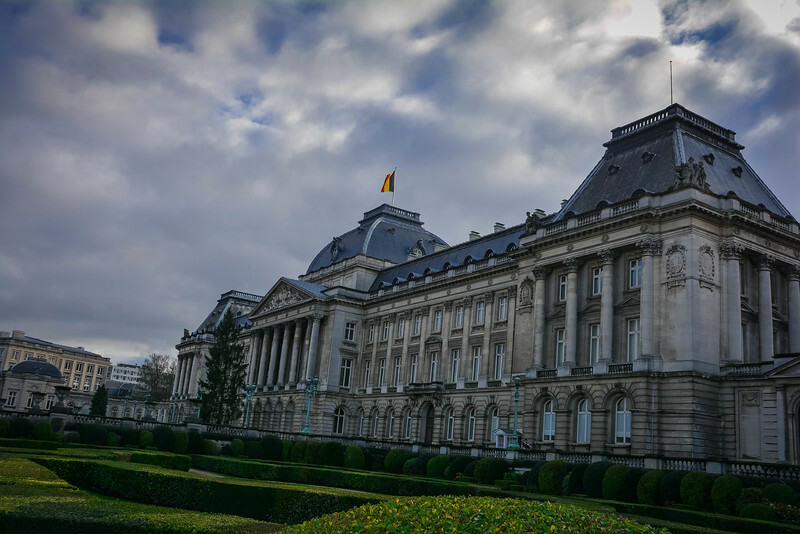 After passing Brussels Park, which offers a moment of respite from the traditional urban feel, we arrived at the stunning Royal Palace of Brussels. 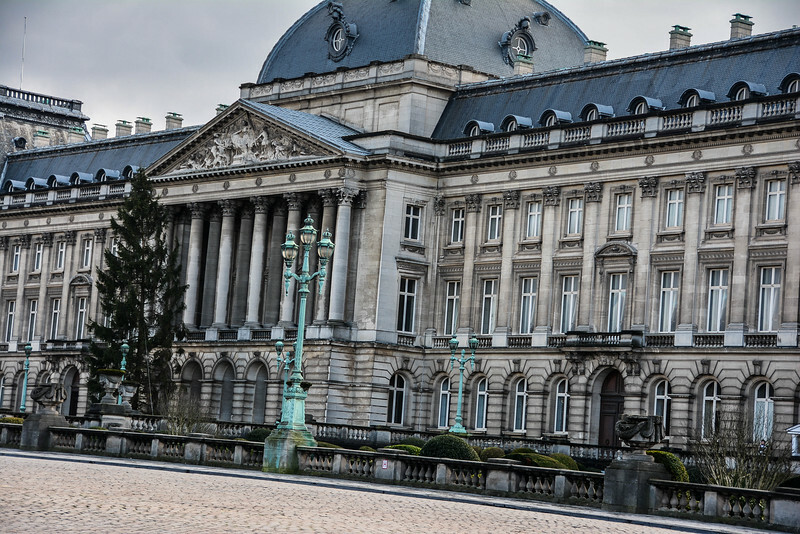 As the official residence of the King and Queen of Belgium, this is comparable to Buckingham Palace in London but the main difference is the front facade is much longer. The avenue Paleizenplein separates the Royal Palace of Brussels from the park. Walking around the back of the palace, we noticed other ‘royal’ quarters and this regal setting was a great spot to end our tour. 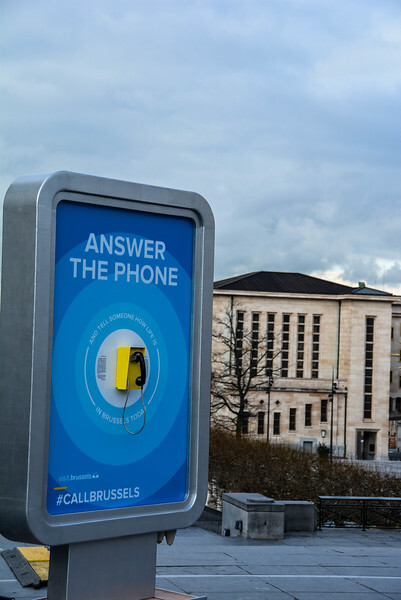 Our final stop was the area of the Mont des Arts where we fortunate to see the new #CallBrussels phone being constructed, a new campaign by the tourism board to convince tourists that Brussels is a safe place to visit. 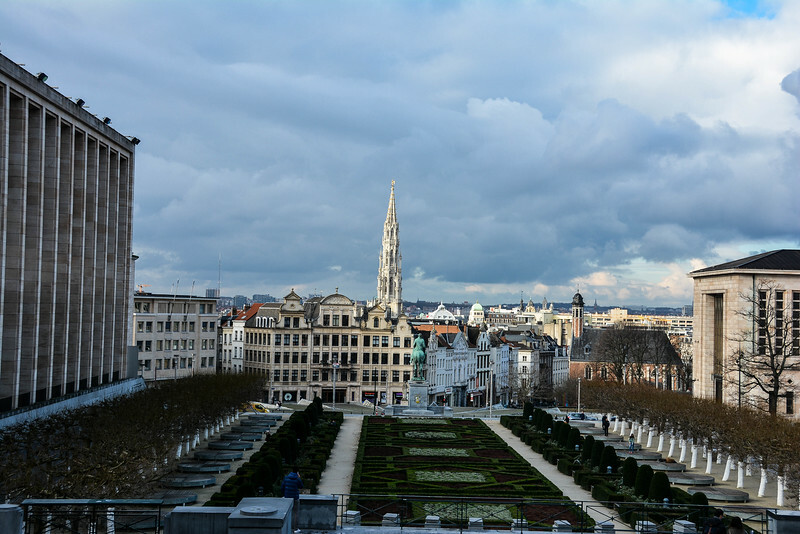 The views from Mont des Arts are stunning and definitely some of the best around the city. You can see the tower of the Town Hall in La Grand Place from this vantage point and I can imagine that visiting here in the summer with all the flowers in full bloom in the garden would provide a relaxing landscape. Are you convinced that Brussels is worth visiting right now? I understand our safety is paramount but when you have a city as beautiful as Brussels waiting to be explored, then sometimes you just have to take the plunge and believe that the security in place will ensure your time in Belgium is enjoyable and without issue. I want to emphasize the quality of our free walking tour around Brussels. Although you could quite easily take a self-guided walking tour, you would miss out on all the descriptive stories and history that the knowledgeable guides provide. They deservedly earn their tips and after this experience with Sandeman’s, we were excited to use this same company again throughout Europe, notably the next day as we embarked on an Amsterdam walking tour. What are your thoughts on traveling to Brussels right now? Have you visited the Belgian capital and if so, what was your favorite attraction there? We did this in may 2015. Was super! The tour was wonderful and made the the whole trip. We learned a ton. Was a slow enough pace for the older or the ones of us that move slower. Great time please tip these guys. Its well worth 15 bucks for the time we had. I did the same tour and LOVED it! It really helped me get to know Brussels in a great way, from history to different details to look for. It totally made me love the city a little more!